Thierry Giles, Katharine Willis & Mike Marianek collaborate under the name Trolley Interactive and will be in residence at 20 Wellington Road in March where they will be organising a series of workshops and showings for their work, Speak To Me. 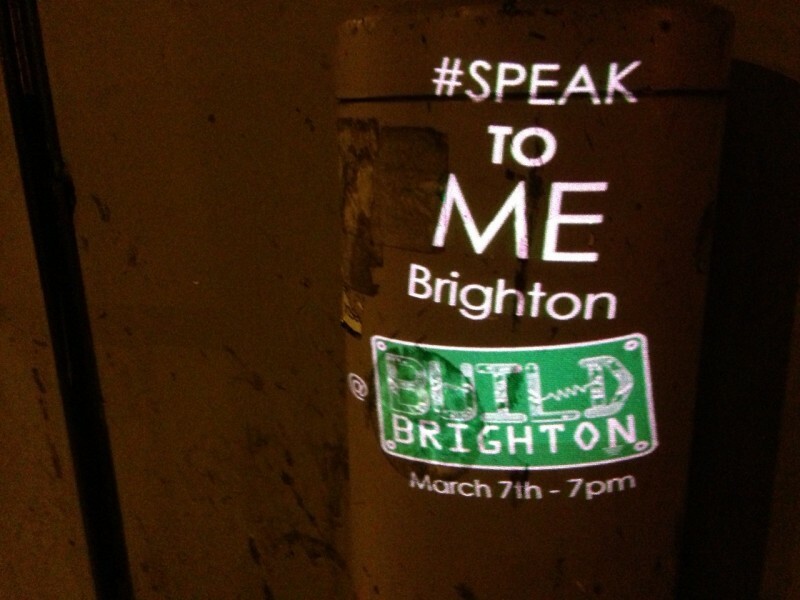 Speak To Me is a street game of make-believe like no other, but also a shared performance. Participants create a storyline that leads through a place in the city by both metaphorically and literally projecting themselves onto objects and places encountered in the physical urban space. The success of the game relies on the ability of the participants to creatively embody a narrative in the space so that a wider public can interact with it (I.e. what would this object or place say to visitors of the space if it could speak?) While the game is being performed, inanimate objects come to life and have a tangible public presence that reaches out to both game players and bystanders.